I took a look through the posts, I think you are in luck 9 may be available. the posts are stacking up since the list was last updated. Welcome to the syndicate. I'm in, 520 and a Lantern, any # will do. The numbering scheme for milspecops is, lets say, not confined to a linear scheme. Since the syndicate was formed membership has increased, subsequently, the list grew too fast to keep up (early on I might add) and personnel created numbers that are significant or meaningful to them. Have a look at the post and submit your number. if 65 is available I will take it. I have a couple that i am working on 1981 S MP and 1944 that started as an akron with real bad cracks you could see light through now has a solid AGM fount it is being rebuilt on. Doug, welcome and hope you get them running. BTW, it's possession of the lantern that counts - you're good. DAVID Single Mantle Fire Machine Enthusiast! vipertruck; Congrats. It looks like a beauty. I'd like to call on #81 if it's available still. And yes a couple are Franked out. My personal favorite is the nickel 228 Fount with the quad top on the right. If 81 is not available just give me the next on that is. Marty as stated earlier... just browse through the thread and see if 81 is or is not used. then add it to your signature block. I had read through and didn't see it. Thanks. I found an old Army Navy surplus that wanted rid of a bunch of milspecs so I made an offer and got them. Rebuilt them and give them to the kids and their friends and kept a couple for myself.. Gotta love the roar. I'll take 58 if its available please. I have one and working on getting another. "I'm About as vintage as some of my Lanterns ....but not as bright !!!" A couple of my Mil Specs, I'm not gonna show my 1945 AGM 220 big hat franken lantern. Might not qualify. May I claim #286 ? My old Nat'l Guard Unit. JC A paranoid is someone who knows a little of what's going on. I am new, but can I join in? I have 5 of them plus a primer gray "military" Petromax. Coleman 275 Appreciation Syndicate. Member #0129! I am in, it's about time haha, so as I post this 0020 is available so now it's mine. I'd like to join up. Here is my 1945 AGM with the original Glasbake globe along with the spare parts kit. I just need a wrench tool to make it complete. Can I request #681 if not already spoken for? I got a 1966 SMP would like MilSpecOps #1976. Thanks Pic coming soon. I would love to be #1975! I awarded myself #1955 since it appears unclaimed. I want in.. can I have #75? Love that roar of my Mil Specs!!!! Roy, Let There Be Light! 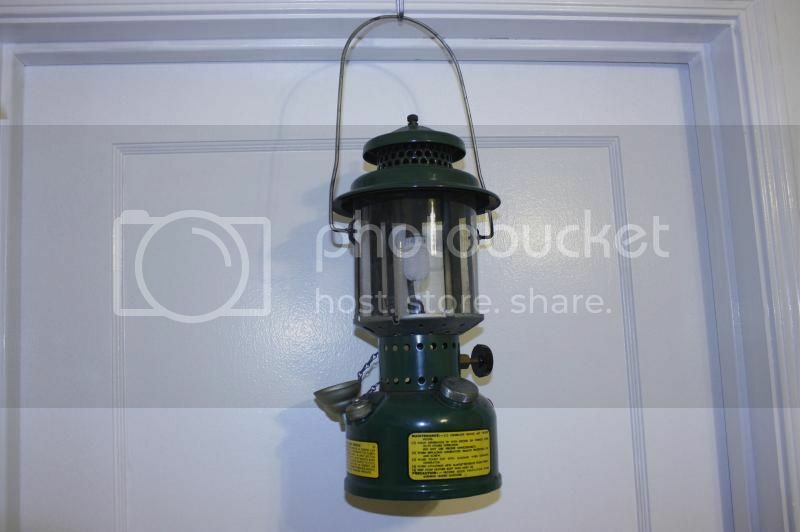 Looking for a 9-70 b-day Lantern! May I have # 1018 please? Boy, never mess with them lanterns, they'll blow up! This is getting quite respectable; this list. I'll take The 1979 slot. The Navy didn't have any gas lanterns on my ship, but I do have a 1979 Coleman 252 that I picked up on the cheap. The PO flamed it and it needed a good cleaning; but my girl likes it so it stays. Besides 1979 was a good year. Now I'll look for a stove of course. Great line up of lanterns and collectors. I just fired up my unfired 1986 Milspec today! I love these milspecs! I am looking into a military stove now! Fixed my milspec and she's running brighter than ever! Just in today. Cleaned up and burning. 1959 Coleman. Count me in at #420. We have 3 real clean, nice complete burners and 3 parts lanterns. Im looking to make a replica of the medical shade as soon as I find the right thin gauge aluminum sheet. Medical shade???? ooooo....please post a pic, never heard of that! Google search turns up nothing. Proud to be a new member! 0017 thank you!! Way cool! You're all set to go fight a war(at least against the Darkness and Cold Alliance ). Please sign me up. I'm not finicky about any certain number. So, any number works for me. 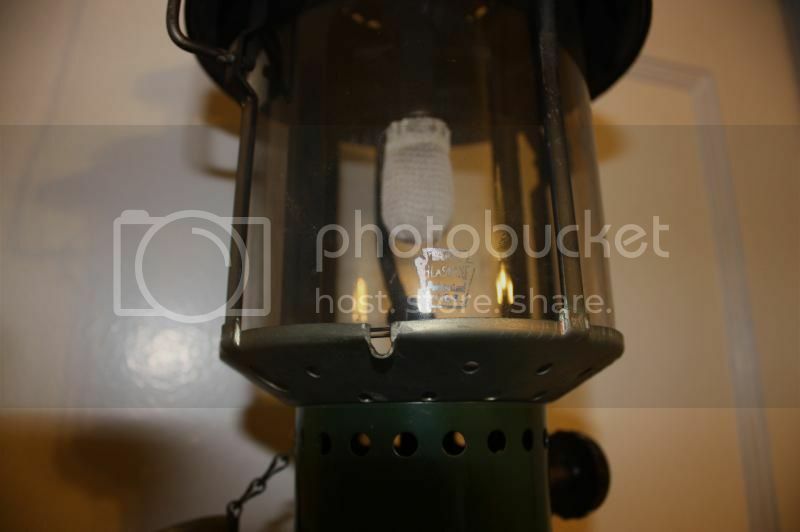 I don't have a Mil-Spec lantern yet, but I am desperate to find one. I just can't seem to find one around here and we have a major AF installation that has been here since WWII. You would think that those things would be a major item here since Hill Air Force base is a major distribution for government surplus. I do have a Mil-Spec single burner M-1950 though. Looking for 8/52 BD lantern for myself and a 1/56 BD lantern for my better half. Back into Lanterns again. Been away too long. 1949 if it's still available please. Here is the 1945 Milspec that I recently acquired. Lots of rust and the paint was peeling off. I ordered new decals and hope to light it for Fathers Day in honor of our dads who served. I know there is a trick to lighting one of these. I have had good advice from other forum members with other projects I have had problems with. I would like to join the Milspec Ops Syndicate. If 1953 is available, I would like that for my number. If it is taken, I will be content with any number you would assign. Thanks. Just got my first 1952 coleman a few weeks back. I'd like a number, please! SIGN ME UP!....AS OF TODAY I'M OFFICALLY JOINING THE CREW! EDIT: I now have two of these!! 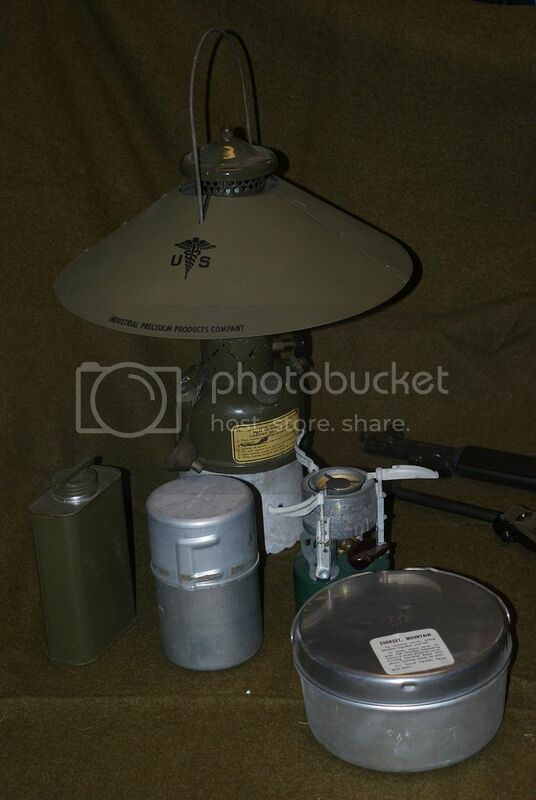 Just bought a 1986 Mil-Spec lantern, with original parts and mantles and (get this) fuel as well. 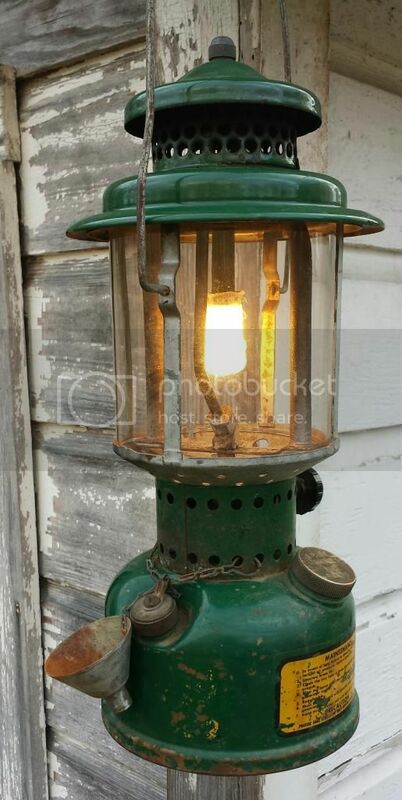 I don't know how long the fuel was in there since the seller said that he just purchased the lantern this past weekend from an Estate sale so he didn't really know the history of it. Paid $40 for it. 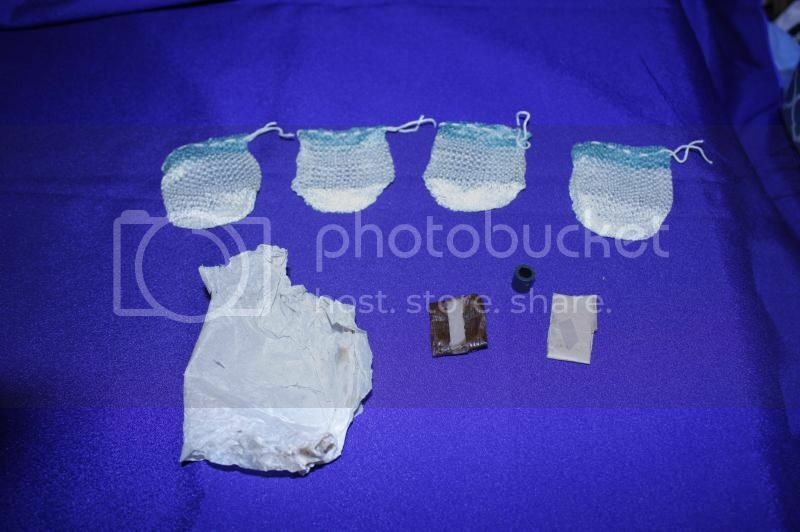 Here are the pictures of it as well as the $$$$ shot. When I first started my initial op's check, pump and pressure are good but could hear air being released from the fuel cap gasket, which needed to be replaced. No problem, just burnt out the old one and installed a new one and all was good to go! Sorry for the delay, guys. I picked up some sort of flu bug, and was down Wed-Fri. If you don't want a specific number, I'll assign you the next consecutive number, and PM you. 1967 Coleman milspec courtesy of GforceKaras, along with a 527 and sterilizer kit. I'll take #76 if it is still available, if not the next in line!